Dress for Success - watch the video or read the transcript below. You have to appear in court and you don't know what to wear. Common question: how should I dress for my court appearance date? 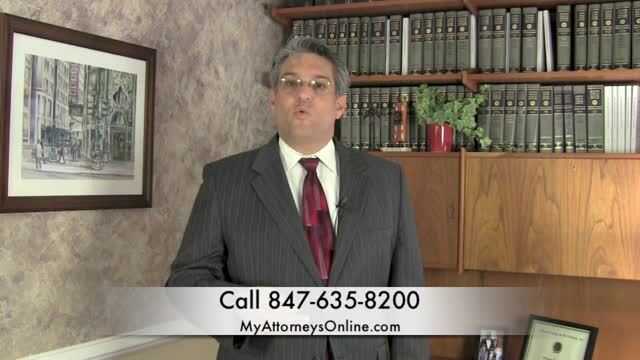 Hello, I'm Steve Fagan from the law firm of Fagan, Fagan & Davis. I'm a Criminal, DUI and Traffic Defense Attorney here in Illinois. And we're going to talk about what you should wear to court, it's often overlooked. Join me for a minute while we do. The first thing you have to remember is: this is a courtroom. This is a place of business. And there is is a certain formality to it. Everybody's wearing a uniform, or professional attire. Now when you walk into a courtroom, you want to be treated with respect. Likewise, the people working in a courthouse also want to be treated with respect. And they want you to take your case seriously, even if it's a simple speeding ticket. Treat this like it matters, that's what you should do. Just to give you an example of a place where dress became very important, I was once sitting in a courtroom in a misdemeanor call here in Cook county and a young man walks into court. The young man came to court in shorts and a tee-shirt, stood up before the bench and the state's attorney had no choice but to dismiss the charges as the Judge would not give them any more time. As the young man turned to leave, unfortunately for him, the Judge looked up at just the wrong moment. And what do you think he had on the back of his shirt? That's right, a big Marijuana leaf. Judge didn't like that. And the rest of that day didn't go so well for that young man. Men should wear something Business casual, as should women. Women could go with a suitpant set, women could go with a blouse and skirt. Men should: you don't have to wear a suit and tie like I would, but you could wear Khakis and a button-down shirt, or even a Polo shirt with a collar. Try to avoid tee-shirts with Marijuana leaves on the back of them. That's a bad idea.